Olympic medal-winning gymnast, Kristian Thomas has gone from being a bronze medal winner at just 17 years old to being an Olympic medal winner at the 2012 London Games and now a much sought-after Olympic speaker. Kristian has no fewer than three gold medals to his name as well as five silver medals and four bronzes. His haul of medals puts him up there with the greats of gymnastics and marks him among Britain’s elite on the horizontal bars, the vault, the floor exercise and more. The gold medals were won by this brilliant Olympic speaker at the European Championships in 2012 and 2015 – the latter was his first ever senior Team GB individual gold medal – and the Commonwealth Games of 2014, where he was a competitor for England. Two of his silvers also came in the same Commonwealth Games, two in the European Championships of 2010 and 2014 and one in the team discipline at the 2015 World Championships. On their own, these achievements look impressive but they are even moreso taking into account the fact that coming third at the 2012 Olympics earned the first medal for a Great Britain gymnastics team since the 1912 Stockholm Olympics. Also, Kristian achieved Team GB‘s first ever World Championship vault medal not long after recovering from two significant injuries. 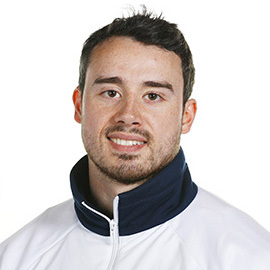 To book Kristian Thomas as the Olympic speaker for your corporate event, function or conference, simply contact the Champions Olympic agency by filling in our online contact form. Alternatively, call a booking agent directly on +44 1509 85 29 27.